Add sophisticated, sleek lined elegance and modern country style to your dining room with the Signature Grey Large Sideboard. 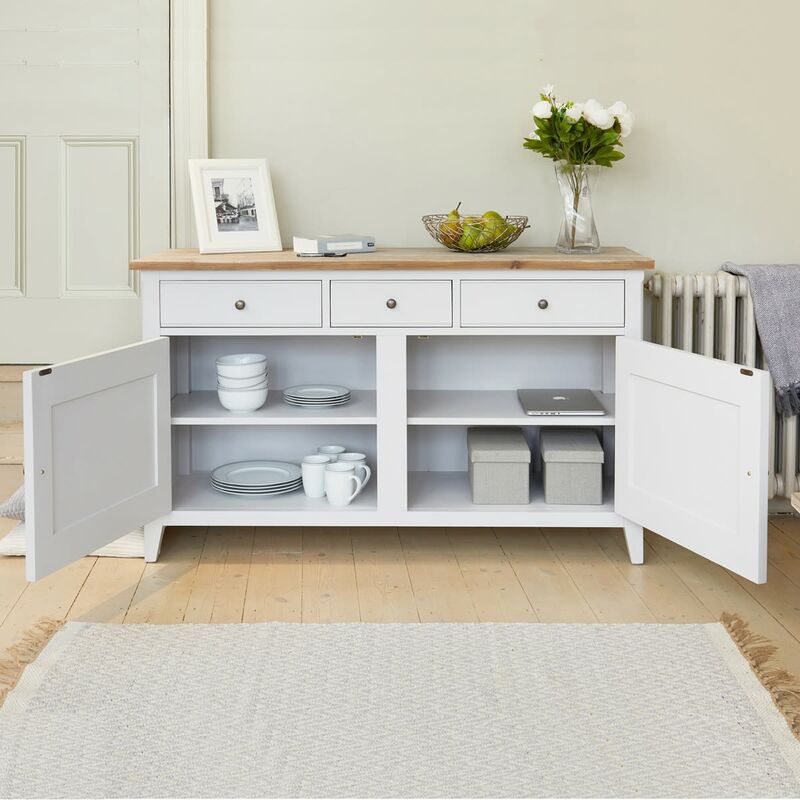 There's plenty of room on top for a vase of flowers or a display of family photographs, while behind the two cupboard doors, you can hide away all your table linen and crockery. 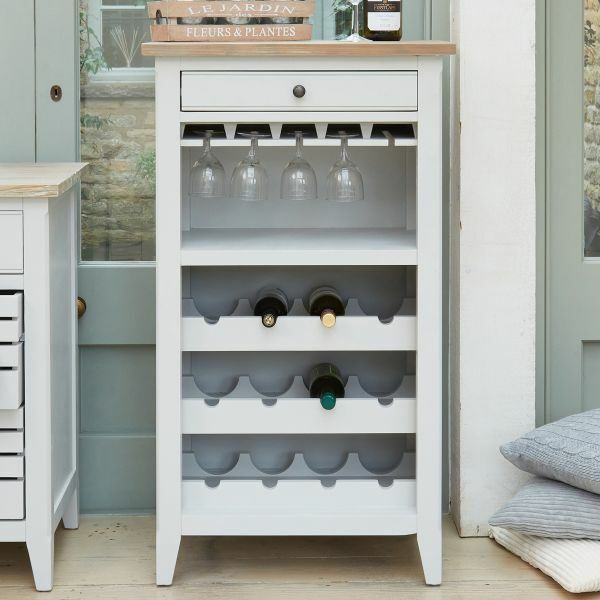 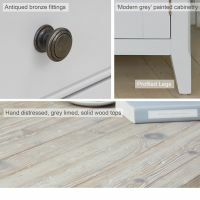 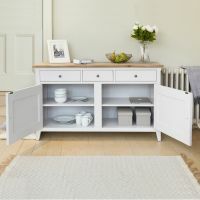 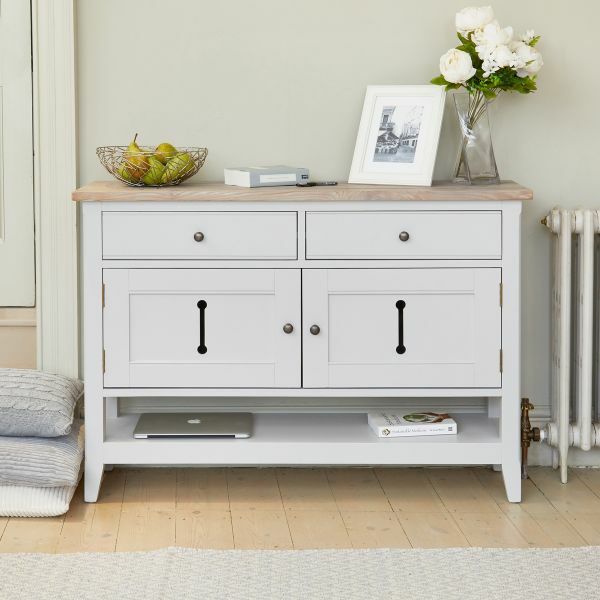 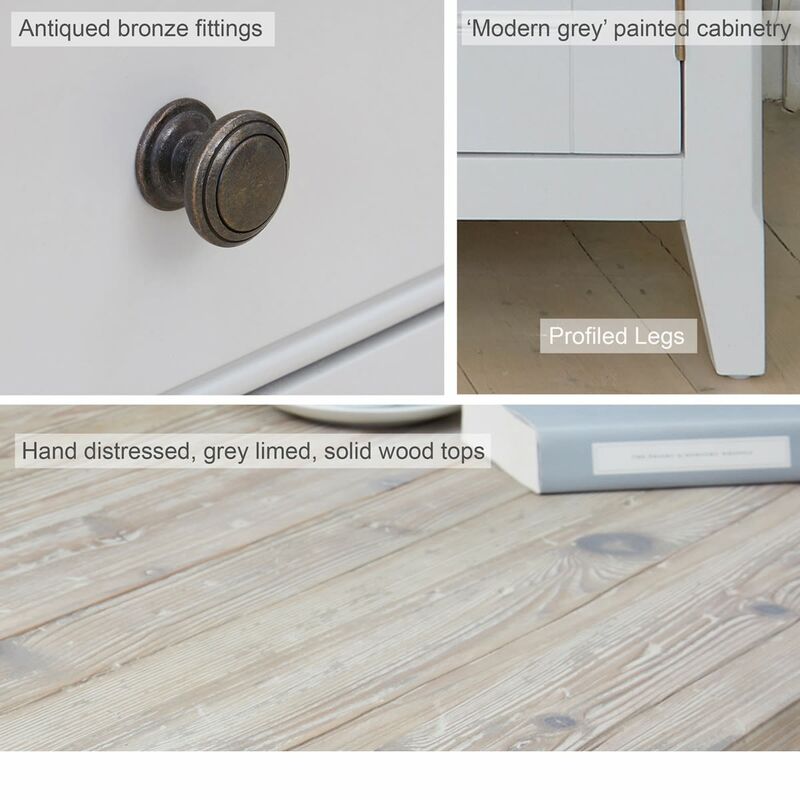 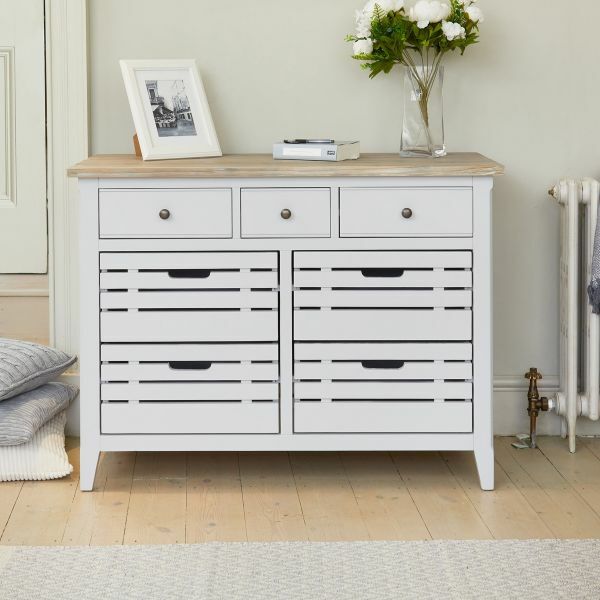 The three drawers will take care of cutlery and utensils and the contrast of the smart grey paint finish and limed top makes for a timeless piece that will sit well in any classic or contmporary decorating scheme. 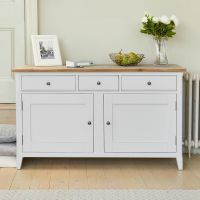 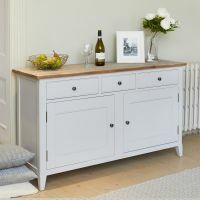 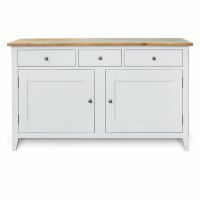 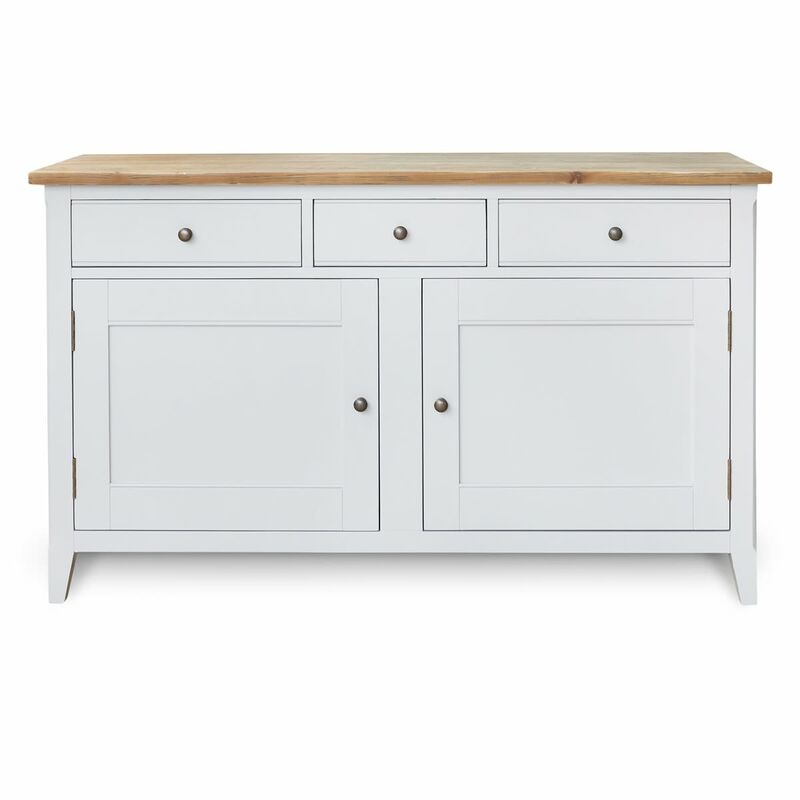 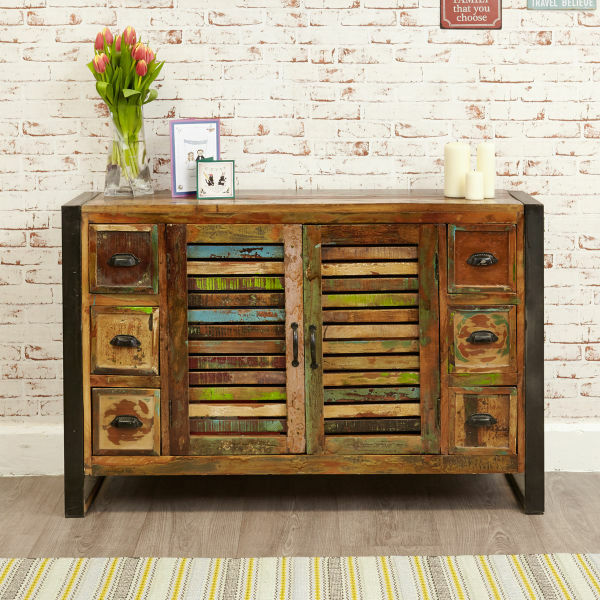 Crafted from solid wood throughout, this beautiful large sideboard is solidly built, delivered fully assembled within five working days and comes with a five year manufacturer warranty. 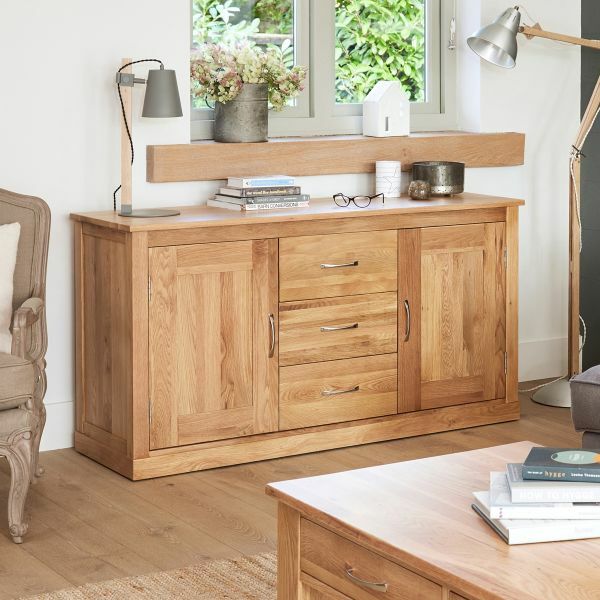 If you're looking for a chic alternative, why not consider our best selling Mobel Oak large sideboard?